Tequila, piñatas and sombreros. These are all items often associated in the United States with the celebration of Cinco de Mayo. But what exactly are individuals celebrating? Let’s take a look back at history to understand the true meaning behind the national Mexican holiday turned U.S. fiesta. In 1861, Benito Juarez became Mexico’s president. He was left leading a country that was in financial turmoil, forcing Juarez to default on his debts to European governments. Soon after, France, along with other European countries, sent troops to Mexico to demand repayment. France’s goal was to oust Juarez and form a monarchy, making many believe that the monarchy would soon ally with the U.S. Confederacy and reestablish slavery in Mexico. With victory in plain sight, the French sent 6,000 men to attack Mexico’s Puebla de Los Angeles. With only 2,000 Mexican men ready to fight, little did the French know that they’d be making a turn for the worse. On May 5th of 1862, the Mexican army began a successful attack on the French, resulting in a retreat from an army they once viewed with little respect. However, while not a major strategic victory in the overall war against France, the Battle of Puebla was a moral victory for the Mexican resistance, symbolizing the country’s ability to defend its sovereignty against, at the time, one of the most powerful foreign nations. Mexicans in the Western U.S. immediately celebrated the country they called home – because if you’re not aware, most of the Western U.S. was Mexico just a few years before, but we can get into that some other day. As time passed, the celebration spread across other U.S. states, but its authenticity dimmed. 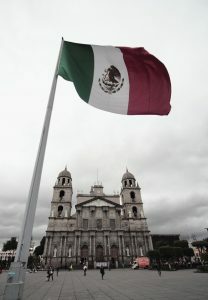 Similarly, in Mexico, there were many battles and wars in the years after and the Battle of Puebla became more of a local celebration for the city itself. 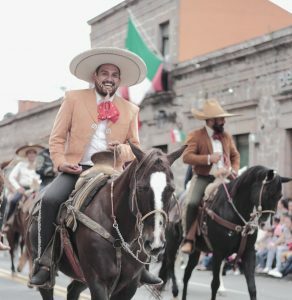 Now fast-forward to present day, and what we typically see on May 5th is the celebration of tequila, piñatas and sombreros by individuals and brands that have little to no knowledge about the history of a battle that symbolized hope for the Mexican people. And without that cultural context, marketers’ efforts to connect with a key demographic during this moment in time can sometimes ring hollow. This local California bar found themselves in a media frenzy after creating a game out of Trump’s border idea. The rules of the game: climb the wall and get a “green card,” allowing attendees one free drink. There are too many things wrong with this “marketing activation” to say the least. Note to brands: take a look at historical context before tying yourself to ANY holiday. Also, consider your consumers. Many individuals in the U.S. – not just Latino – view a “green card” as the only “golden ticket” to remain in the same country with their families. Creating a game based on something that defines all the difference between being able to stay with your family or not, is NOT something to be played with. Brands are expected to do their research or conduct product tests when curating items based on a Cinco de Mayo theme. NYLON missed the mark. With t-shirts glorifying the overconsumption of tequila, a play on words using a mayonnaise graphic, and calling one of Mexico’s revolutionaries, Emiliano Zapata, (who was born after the Battle of Puebla, by the way) a “vato” (thug) – NYLON’s campaign was completely void of cultural insights and respectful nuances. It’s not just brands getting it wrong, but the general media has also capitalized on a holiday that ultimately has nothing to do with drinking at 7 a.m. Check out highly respected Mexican-American journalist, Maria Elena Salinas’ take on MSNBC’s and ABC’s Cinco de Mayo segments. Daniela Chavez Lira is an Account Executive at FCG.